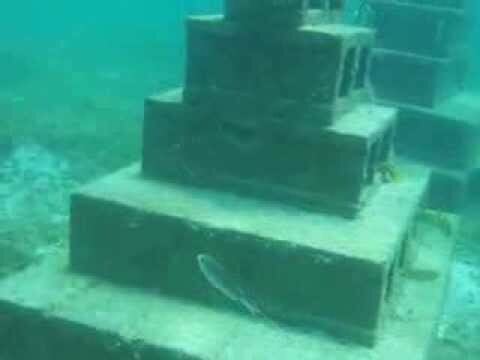 These were the first two artificial Reef Pyramids placed in the Grand Anse Reef Regeneration Project (GARRP) in May 2013, this video was taken 2 months later. 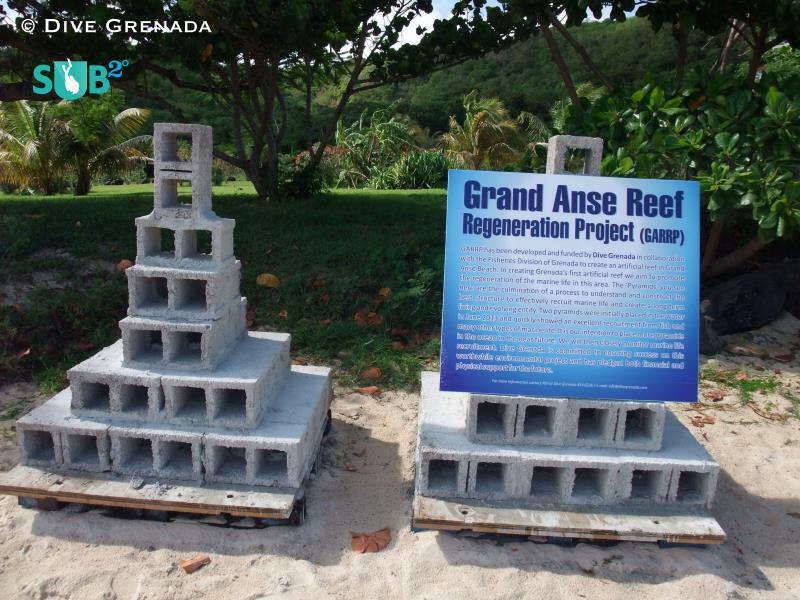 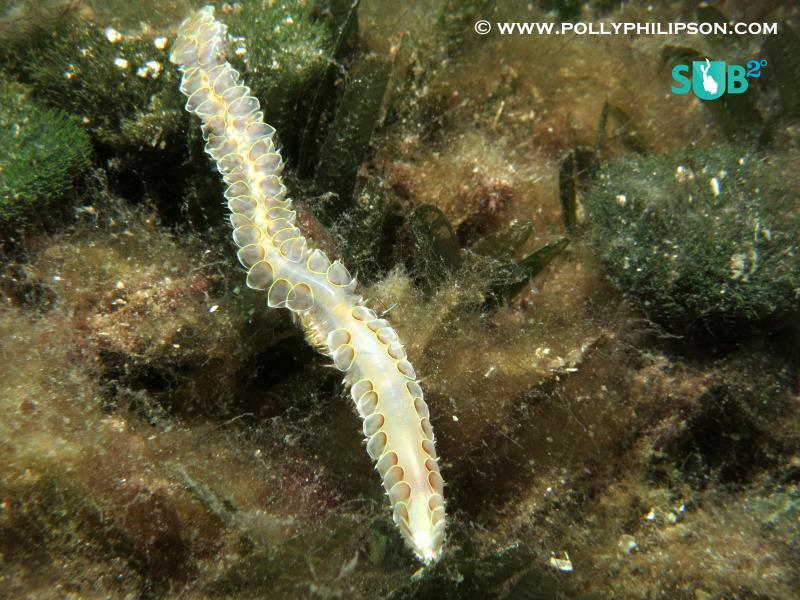 The scheme is being funded and built by Phil Saye of Dive Grenada. 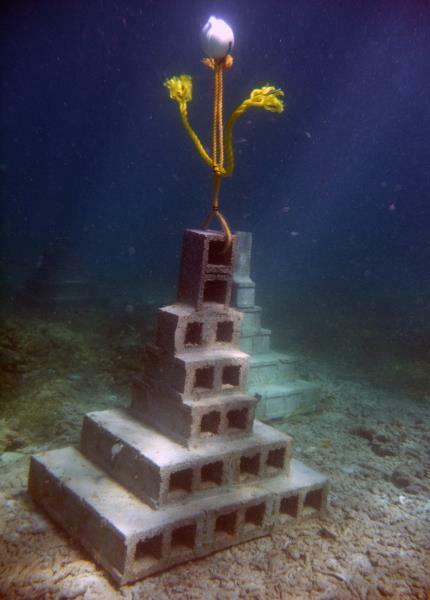 The rope & float is to act as an alternative medium to attract marine life.